Nagarjuna Oil Corporation Limited (NOCL) is developing a state-of-the-art crude oil refinery in Cuddalore in the southern Indian state of Tamil Nadu. The project is the single biggest investment being made in the Tamil Nadu region. Construction of the refinery is being carried out in two phases. The first phase will have a capacity of six million tons per annum (mtpa) of crude oil and is expected to be completed by the end of 2012. An investment of INR7.2bn ($134.9m) is being made in to the first phase. NOCL is planning to invest another INR12bn ($224.8m) in the second phase of the project, which will add a capacity of 15mtpa to the refinery. Phase II is expected to be completed by 2015. The new refinery will meet the growing demand for petroleum products in Tamil Nadu. Nearly 70% of the refinery’s output will be marketed within the state of Tamil Nadu itself. The remaining output will be exported. "TIDCO, along with Nagarjuna Fertilizers & Chemicals Limited (NFCL), established the new company, NOCL, to execute the project." The Cuddalore refinery is part of the Tamil Nadu Industrial Development Corporation’s (TIDCO) plans to set up a crude oil refinery to cater to the growing oil needs of the Indian region. TIDCO, along with Nagarjuna Fertilizers & Chemicals Limited (NFCL), established the new company, NOCL, to execute the project. NFCL holds a 51% stake in the project. Investment in the refinery is part of NFCL’s plans to diversify from fertilisers to the oil industry. The remaining stakes in the project are held by Tata Petrodyne, Uhde and Cuddalore Port. The project includes the relocation of Mobil’s Woerth refinery in Germany. Financial closure of the project was achieved in 2008. In March 2012, Trafigura, a leading oil trader, infused equity into NOCL. The primary units of the refinery will be a crude distillation unit and a vacuum distillation unit. Secondary units include a catalytic hydrodesulphurisation unit, methyl tertiary butyl ether unit, fluid catalytic cracking (FCC) unit and a diesel hydrodesulphurisation (DHDS) unit. 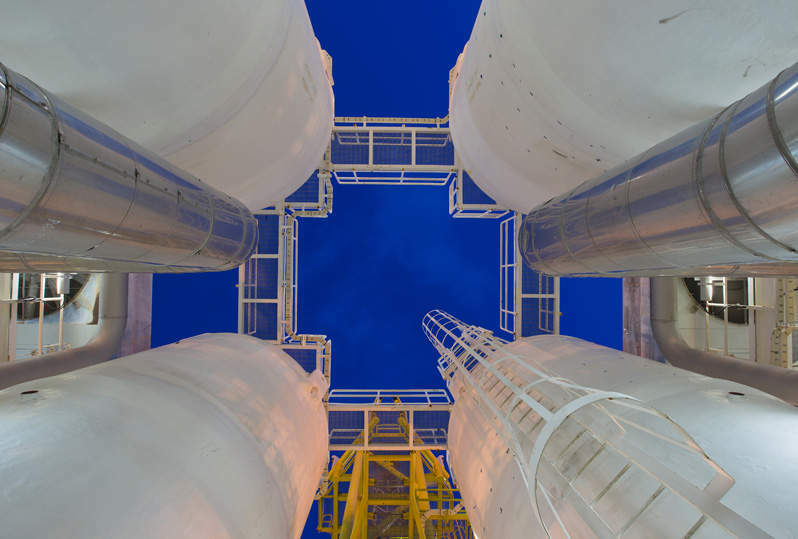 The refinery will also include a delayed coker unit, a flue gas desulphurisation unit, a cold box unit, storage tanks and related offsites and utility systems. The flue gas desulphurisation unit will use technology supplied by BELCO. A captive power plant and marine infrastructure are also part of the project. The marine facilities include a single point mooring system for crude oil handling and a jetty for finished product handling. The facilities will be able to handle 65,000DWT tankers. The refinery is being built on a 2,100 acre site. Its construction started in 2009 and was more than 50% complete as of April 2012. The primary distillation units are being brought from the Woerth refinery while the secondary processing units and offsite facilities are being constructed on-site. Relocating the primary units has significantly reduced the overall project cost. In addition to the construction of the phase one infrastructure, preliminary activities for phase two of the project are also being executed simultaneously. The Cuddalore refinery will produce petroleum products of the EURO III and EURO IV standards. It will have a Nelson Complexity Factor (NCF) of about 8.74. The refinery will be able to process some of world’s sour crudes, including Bonny Light and Arab Mix crude. The product mix of the refinery includes 0.8mt of petrol, 2.8mt of diesel, 0.7mt of LPG, 0.5mt of kerosene and jet fuel, 0.2mt of naphtha and 0.7mt of other products. CB&I Lummus are the project management consultants for the project. "The new refinery will meet the growing demand for petroleum products in Tamil Nadu. Nearly 70% of the refinery’s output will be marketed within the state." Punj Lloyd Group was awarded a contract to build Inside Battery Limit units and interconnection pipe rack. The engineering, procurement and construction (EPC) contract for the FCC unit has been awarded to Aker Solutions’ subsidiary Aker Powergas. Construction works for the FCC are being carried out by Petron Engineering Construction. The contract for the DHDS unit has been awarded to Samsung Engineering. Axens IFP Group Technology is the technology licensor for the unit. Uhde has been awarded the EPC contract for the hydrogen unit, sulphur recovery unit and other units. Other major suppliers / contractors include Technip, IOTL, Dylan, Konecranes, Thomassen, Tech-Sharp Engineers, Heurtey Petrochem and Nagarjuna Constructions.